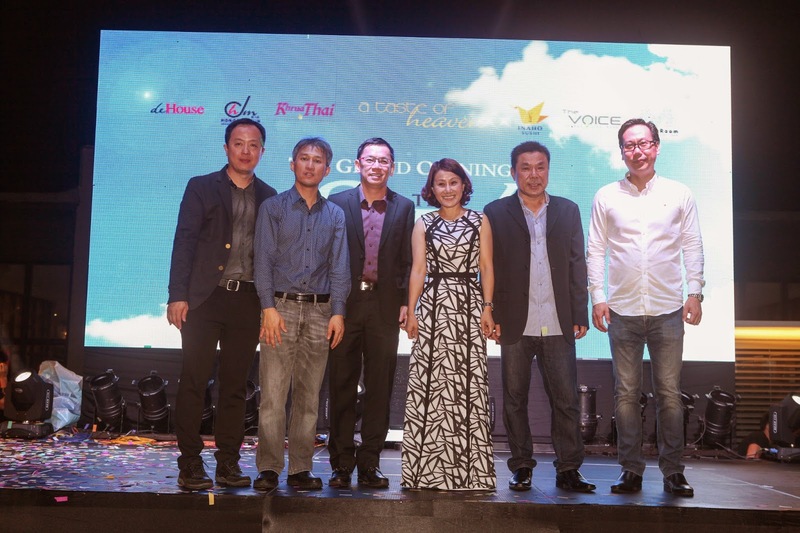 The Sky at One City celebrated its grand opening on 23 January 2015, signalling a new chapter of the rooftop dining and leisure experience for One City mall. A product of careful planning and design, The Sky is established on the 10th floor (rooftop) of the 16-level mall, inevitably an urban dining oasis in the Subang vicinity. The biggest rooftop food and beverage area in Malaysia, The Sky boasts mouth watering international cuisine that includes Thai, Korean and western delights, not forgetting a sports bar with darts game, pool table facilities and a chill-out lounge with live band, a new remarkable place for dining, chill-out, events, music and gathering. 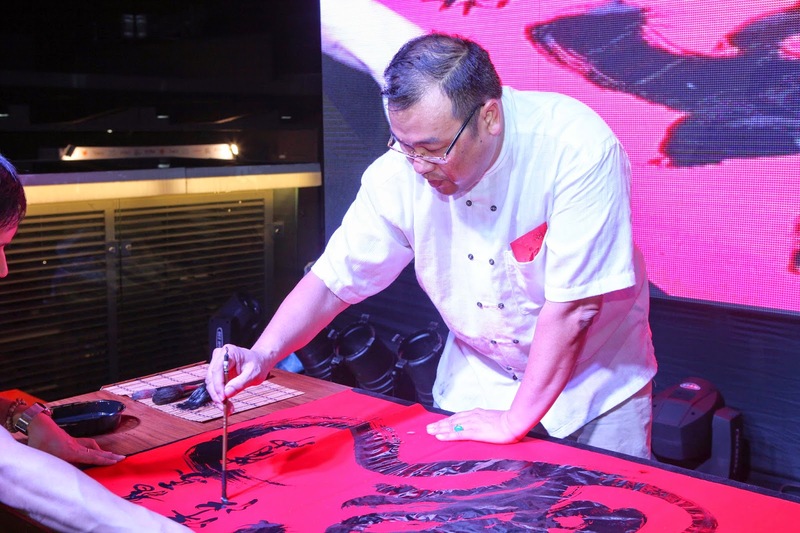 “Malaysians have become more discerning when it comes to their dining experience. It’s not just about the food anymore but the complete experience. 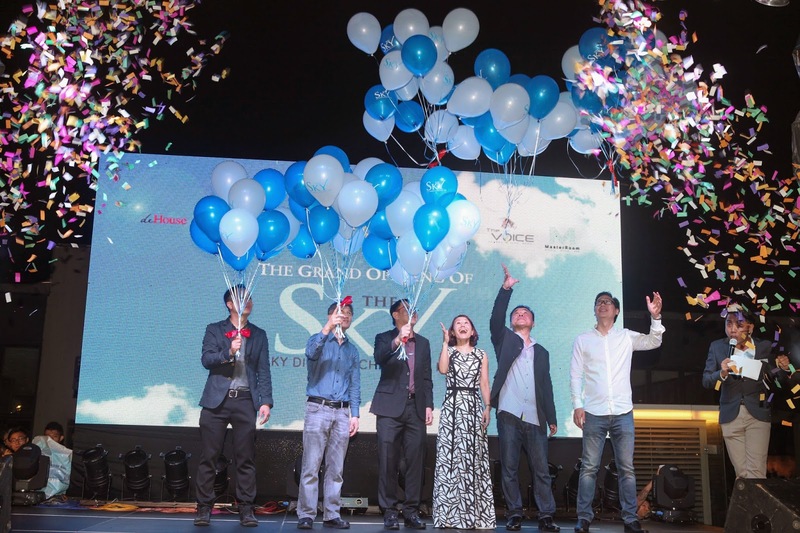 With the grand opening of The Sky at One City, we at The Sky Holdings are proud to provide just that to our customers. 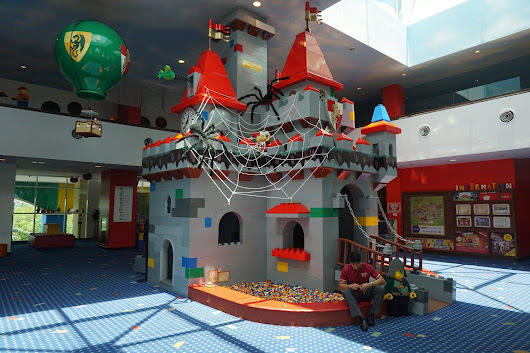 We are definitely bringing the entire dining and leisure experience to the next level, adjusting to the changing times and evolving to cater to the desires and needs of our customers.” Says Mr Lim Kim Sow, CEO of The Sky, who is also the founder of well-established PMP Entertainment Group. The evening began with guests being treated to a selection of sumptuous delicacies from The Sky’s six restaurants. 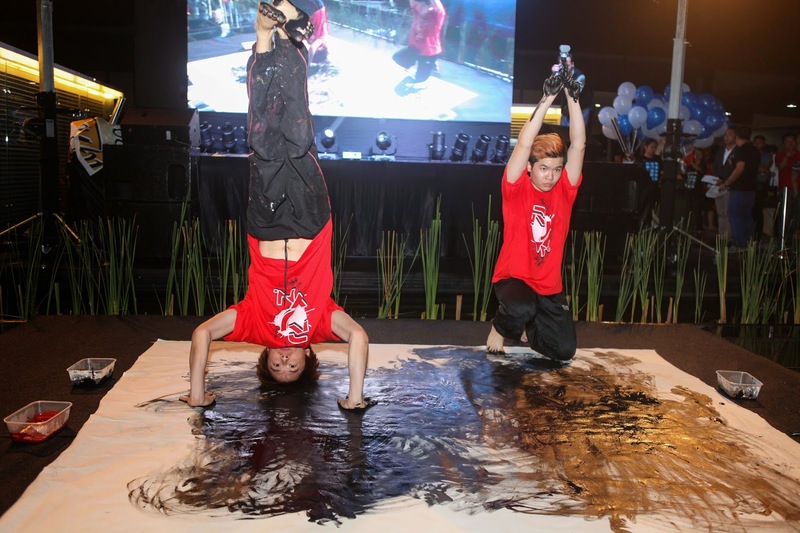 They were then entertained by the opening performance featuring a power-packed dance by RJVN, followed by a talented duo known as Ong & Sim who combined dance and painting, creating artwork using their entire bodies. above Ong & Sim who combined dance and panting, creating artwork using their entire bodies. 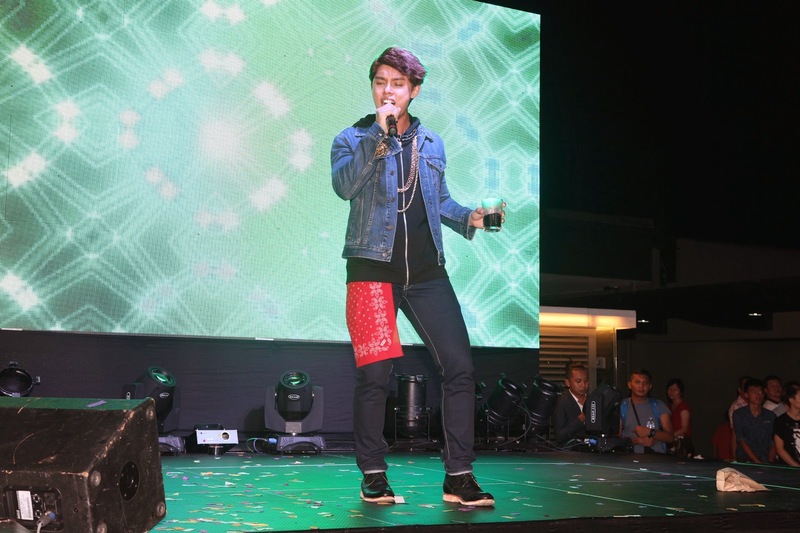 This was followed by an energetic display of beatboxing skills by local champ Shawn Lee, who showed off the percussive beats and dramatic sound effects that saw him rank in the Top Four of the Beatbox Battle World Championship 2012. 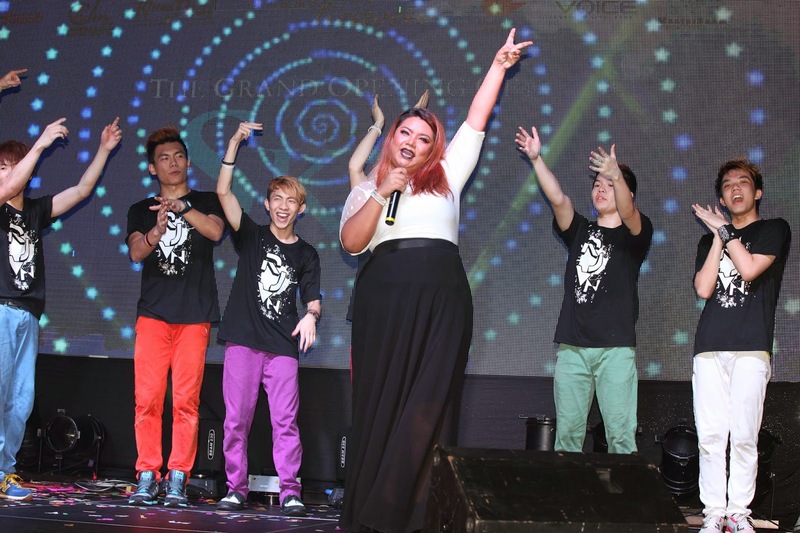 Malaysian Idol Season One 1st Runner-Up Dina Nadzir then rocked the stage at The Sky, delivering powerful renditions of hit songs to the crowd. The multi-talented singer is a well-known recording artiste, as well as one of the top Malaysian radio presenters. To close the evening, popular singer-songwriter Henley Hii took the stage and enchanted the audience with his performance. The most memorable part of the night came near the end when the audience, which included 30 members of Henley’s fan club, sang along to his amazing cover version of Beyond’s 海阔天空 (Under A Vast Sky). According to Henley, that song was especially dedicated to The Sky. 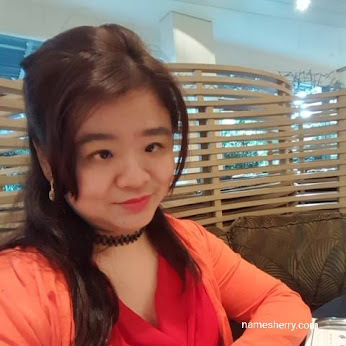 A prolific recording artist, Henley is also an aspiring young actor, landing the lead role in the upcoming blockbuster film, Kepong Gangster 2. 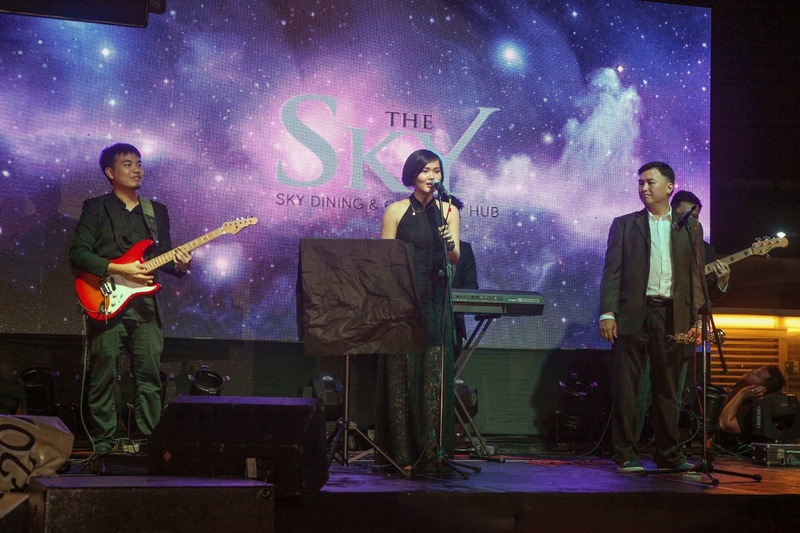 The grand opening of The Sky was a memorable evening for all present, including the many celebrities, noted guests from the entertainment and business industries and various well-wishers who graced the event. 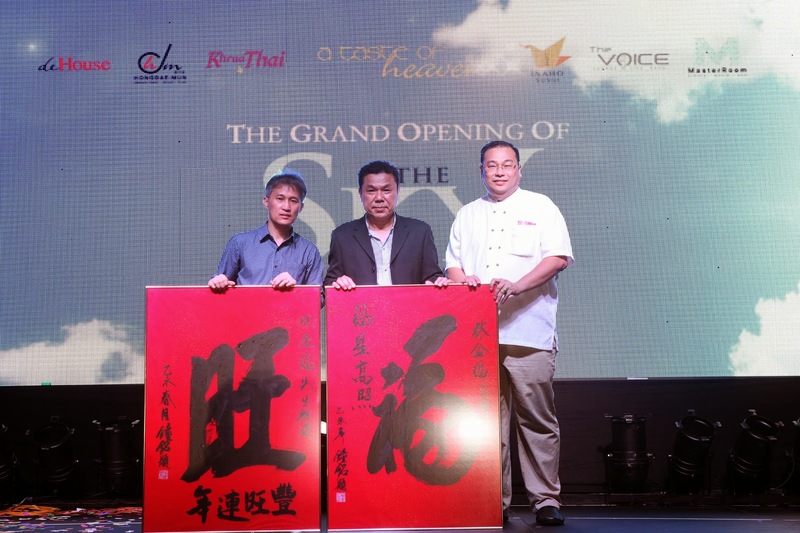 It firmly establishes The Sky as a new landmark dining experience and chill-out hub, and will hopefully be the first of many events, celebrations and memories to come. If you like to know more on One City, check out http://www.onecity.com.my. Last Friday it's exciting moment for me and my partner Grace. It's an honor to be invited to attend The Party of The Century at Empire City. 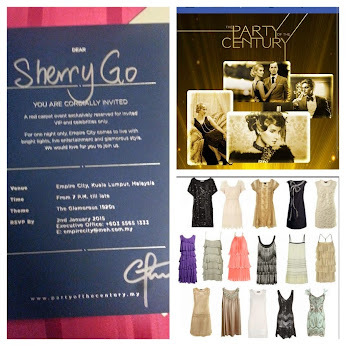 My preparation for the night theme Glamours 1920s, It's fun dressing up for the party we waited for. How you like my outfit of the night? How's my back view at the first floor. 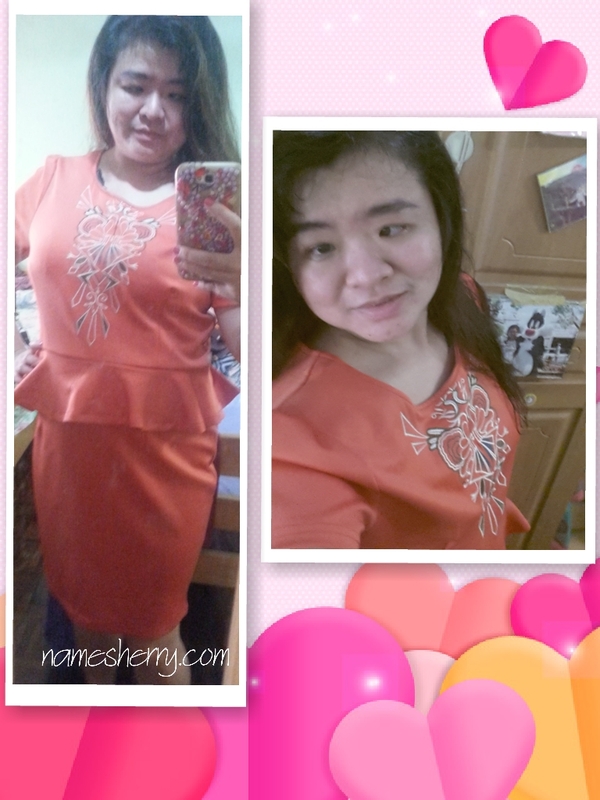 Black dress bought from Empire Shopping Gallery, Subang Jaya. 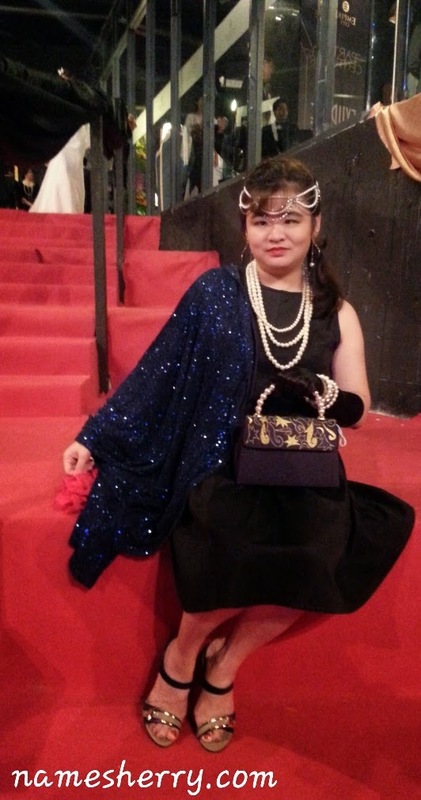 So many people attended The Party of The Century with the dress code of Glamours 1920s because nobody wants to be left out of this exciting theme. I am with many thousands of people waiting for the performance to start. 2AM started their performance of two songs and everyone is cheering and you know it videoing it in their cell phone. We love the lighting of this live entertainment. Here comes the 2AM the renowned Korean group. 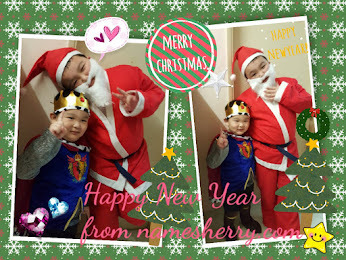 The venue party is a Olympic-specification ice rink, it's beautiful flooring with red carpet for party. Live entertainment that we didn't want to forget performance "Your raise me up" is by Mark Vincent. The live entertainment never ends, check out Cait's aerial violin performance as she been seen flipping and playing upside down at death defying heights at party. No kidding I am afraid of height, I can't bear to watch but her performance so beautiful I can't get my eyes off her. Cait's aerial violin performance in style, flipping, playing upside down and more. During the performance, guess who I spotted above of where I was seating with my friend. above of me is Taiwanese artist named Eddie Phang. He's friendly and willing to do a Peace pose for me. Cait's aerial violin performance is like flying here and there. Up next are performance of ballet dancers, it's nice performance as you don't want to leave your eyes off them. Beautiful performance that I didn't record it down at all with my phone as I was busy using camera. Who loves drumming performance, Hands Percussion (HANDS) they have preserve their cultural heritage while introducing new dimensions on theatrical drumming. It's awesome performance that even my camera cannot capture their speed. A speech by Dato Sean Ng, Group Managing Director of Mammoth Empire Group of Company. Dato Sean Ng, together with his colleagues gather at stage to have a toast. Cheers to the launch of Empire City, the city of live entertainment and entertainment. More photo of him, he is a young Australian opera singer, Mark Vincent. Here come's Paris Hilton, the night I have been waiting for. Paris Hilton, waited her dancers to come on stage to dance the night. Here come's Taboo all the way from LA to Malaysia. above photos taken by me. Check out my instagram sherrygo for video not in order. photo above credit to Grace Tan, my partner. Fun night to party with lovely ladies. Photo credit to Syafiera Lewis. 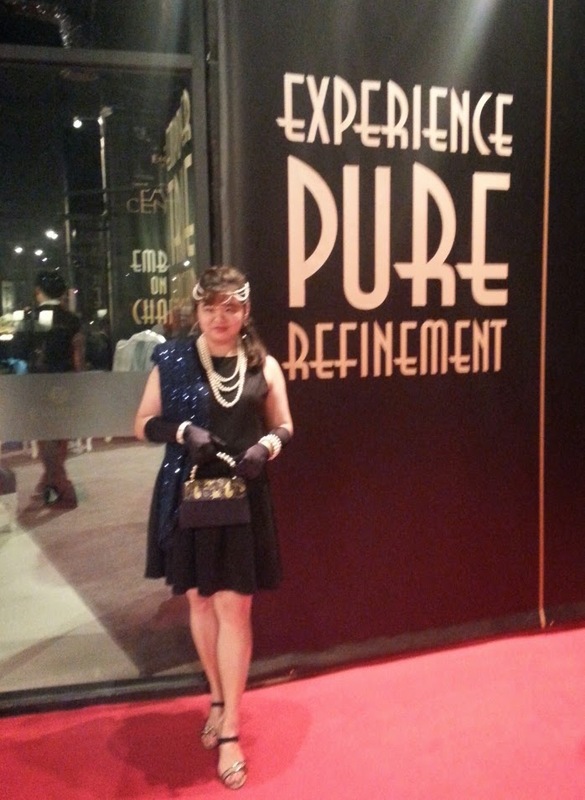 Thank you Empire City for this wonderful opportunity to attend The Party Of The Century. It's a night I never forget and always be in my heart.